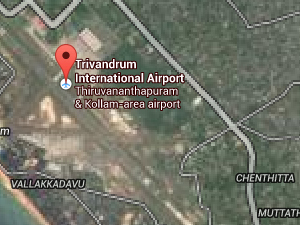 Get Jet fuel or Aviation fuel at Thiruvananthapuram Airport (VOTV/TRV), India at the most competitive price. Send a query. Aviation Services India through its tieups with certified oil companies and providers makes available Jet Fuel (ATF) at Thiruvananthapuram Airport (VOTV/TRV), India to all Private Jets, International and Domestic airlines. Contact us for best Jet Fuel Price and Aviation Fuel (ATF) Price, at Thiruvananthapuram Airport (VOTV/TRV), India. Thiruvananthapuram, also known as Trivandrum, is the capital of the Indian state of Kerala and the headquarters of the Thiruvananthapuram District. It is located on the west coast of India near the extreme south of the mainland. Buy Jet Fuel, Aviation Fuel, ATF at Thiruvananthapuram Airport (VOTV/TRV), India. Send a query.